There are exactly 32 drivers entered for 32 spots in this weekend’s race, down from the 39 entrants at Eldora. Most of these missing teams and driver changes are due to the return of series regulars following the only dirt-track event of 2018. There’s a game of musical chairs afoot between these three teams. Monster Jam competitor Camden Murphy rejoins the Cobb team’s second truck for his fifth start of 2018. He takes over for Ray Ciccarelli, who had a difficult night at Eldora, but now hops over to Beaver Motorsports’ #50 Chevrolet. In turn, Ciccarelli takes the place of Mike Harmon, who also missed the cut on the dirt track. Harmon is only entered in the XFINITY race at Iowa this week, so his #74 truck, driven last week by crewman Trevor Collins, falls to B.J. McLeod. McLeod eyes a triple-header this weekend, as he’s entered in all three NASCAR races at Pocono and Iowa. Ryan Newman showed speed early at Eldora, but was eliminated from contention after he was caught up in one of the night’s many wrecks. Back at the shop, Jordan Anderson switches hats from crew chief back to driver, and loads up his white-and-blue #3 Chevrolet for Pocono. NEMCO returns to a two-truck operation this week, fielding the #87 Chevrolet for the tenth time this year and the first time since the truck failed to qualify at Kentucky. Timmy Hill takes the wheel of the #87 while Joe Nemechek takes over for his son in the #8. John Hunter Nemechek will instead be in Iowa, driving Chip Ganassi’s #42 Chevrolet. Eight of the entered teams at Eldora aren’t entered this week, including the #27 ThorSport entry that Chase Briscoe took to victory lane, and the KBM #46 that was withdrawn prior to last Wednesday. Briscoe is also one of 17 drivers not entered in this week’s race, many of them last week’s “dirt ringers:” John Provenzano, Ryan Newman, Ty Dillon, J.R. Heffner, Tyler Dippel, Braden Mitchell, Jeffrey Abbey, Max McLaughlin, Logan Seavey, Chris Windom, Kyle Strickler, Trevor Collins, Justin Shipley, Nick Hoffman, R.J. Otto, Jr., and Sheldon Creed. Among the swaps from dirt track to pavement racers, Reed Sorenson is entered in Jay Robinson’s #15 Chevrolet, taking the place of J.R. Heffner. Heffner raced his way into the Dirt Derby last week and finished 24th, overcoming a disappointing engine failure that forced a withdrawal in 2017. Tanner Thorson once again drives the #20, which carries sponsorship from Maestro's Classic Beard Wash and Beard Butter. The company previously backed Darrell Wallace, Jr.'s series win at Michigan last year. Braden Mitchell had a strong run in his heat race, but came out on the losing end of several tangles with John Hunter Nemechek, missing the cut. Team owner Josh Reaume returns to the controls of the #33 this week. The car will share the same sponsorship from the Lehigh Valley Phantoms hockey team as Timmy Hill's Cup car (see below). Following Jeffrey Abbey racing his way into the Dirt Derby, the Reaume Brothers will bring two trucks to the track for the second-straight race. This time, it will be J.J. Yeley behind the wheel in a truck backed by the Steve King Foundation. Like B.J. McLeod, Yeley is entered in all three races this weekend, running for RSS Racing in XFINITY at Iowa and BK Racing in Cup at Pocono. Logan Seavey was within striking distance of claiming last Wednesday’s victory, a strong outing in his series debut. Cup regular Kyle Busch, also nipped for victory last week, returns to the #51 for his fifth Truck Series start of the year. Chris Windom earned a solid 14th-place run at Eldora, finishing right behind his DGR-Crosley teammate Tyler Dippel. This week, Bo LeMastus returns to the #54 team. 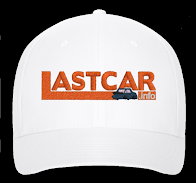 LeMastus has three Pocono starts in the ARCA Racing Series with a best of 8th in 2015. After his unexpected XFINITY Series debut at New Hampshire for JP Motorsports, Bayley Currey takes over for Kyle Strickler in the #63. Strickler, making his Truck debut last week, was gunning for a strong finish when he was caught up in the final wreck, leaving him 31st. For Currey, sponsorship comes aboard from G-Style Transportation and Cedar Peaks on a black-and-red paint scheme. Running an identical Mike Mittler truck under the D.J. Copp banner, Nick Hoffman impressed in his first Truck Series start in seven years, finishing 10th. This week, Todd Peck rejoins the Copp effort with returning sponsorship from Pulse Transport. It will be Peck’s third series start, following last-place finishes at Dover and Texas for Beaver Motorsports. There are exactly 40 drivers entered for 40 spots, but not the same teams we saw in New Hampshire. After the Dillon brothers traded off in last week’s race at Loudon, Shane Lee is back in the #3 Chevrolet for the first time since his season-best 6th at Daytona. Lee finished 16th at Iowa two races prior. Ray Black, Jr. will drive the #8, taking the place of Angela Ruch, who ran 30th at Loudon. Black has four starts at Iowa, but just one finish better than 29th – a 20th in 2016. Tommy Joe Martins remains in the team’s flagship #78, following a 20th-place run at New Hampshire. MBM scales back from three cars to two, and Timmy Hill is not entered in the XFINITY race, either. Hill will instead run both Trucks and Cup in Pocono. The #66 for the team falls to Stan Mullis, who drove the car at Iowa in June. Mullis takes the place of team owner Carl Long in what will be his third series start. Welcome back Kyle Benjamin, who we haven’t seen in the XFINITY Series since his 8th-place showing at Atlanta in February. Benjamin nearly won this race last year, coming up short of Ryan Preece by less than a tenth of a second. Unfortunately, there won’t be a repeat on Saturday – Preece isn’t entered this week, and Benjamin was assigned in his place. Benjamin will be running double-duty with the K&N Pro Series East, where he'll drive for Hattori Racing Enterprises. Austin Cindric moves from the #60 team to the #22, taking the place of Cup regular Brad Keselowski in the LTi Printing Ford. In Cindric’s place on the #60 team is Eldora winner Chase Briscoe. Since GMS Racing wasn’t sure when Spencer Gallagher was set to return from his suspension back in May, the team already contracted with a number of drivers to fill out the season. Following Johnny Sauter’s run last week, Casey Roderick makes his return to XFINITY Series competition for the first time since July 6, 2012, when he ran 27th at Daytona for Jason Sciavicco’s team SR2 Motorsports. More recently, Roderick has been running late models, and this past April took the checkers at the Nashville Fairgrounds, edging current Truck Series full-timer Stewart Friesen. We last saw Max Tullman at Chicagoland, where he finished 23rd in the Truck Series race for Young’s Motorsports. 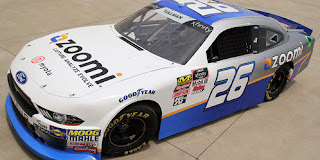 On July 23, it was announced that Tullman would be making his XFINITY Series debut for a brand new team, Tullman Walker Racing. The team is owned in part by his father Steve Tullman as well as partners Jim and Neal Walker. Zoomi, Tullman’s sponsor at Chicagoland, will back the Iowa effort, along with Myota. Championship crew chief Doug Richert will sit atop the pit box. The car carries the #26, and in promotional shots appears to be using the same number font Jamie McMurray used at Roush-Fenway Racing prior from 2006-2009. After originally being listed in the JP Motorsports #55 (see below), Stephen Leicht is instead entered in the #93 for RSS. Jeff Green moves from the #93 to his teammate's #38, taking the place of J.J. Yeley. Yeley will not make the trip to Iowa and instead runs double-duty in Pocono. In a curious twist, Stephen Leicht is again entered as the driver for JP Motorsports’ #55 Toyota, a team he left after Dover in May. The reunion comes a week after Brandon Hightower, Leicht’s replacement, also parted ways before the Loudon race, causing Bayley Currey to be brought on as a last-minute replacement. With Currey in Pocono for the Truck Series race, Leicht is again the #55, which again carries the Prevagen sponsorship from teammate Josh Bilicki’s #45. 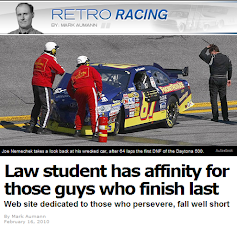 UPDATE: By Thursday, Leicht was out of the #55 and headed to RSS Racing (see above). Peter Shepherd III will make his first XFINITY Series start after attempting his last series race at Memphis in 2006 for Roush-Fenway. Shepherd was one of seven drivers swapped out for Cup regulars prior to the race, his in place of Carl Edwards. For the second time in three races, upstart Fury Race Cars isn’t entered this week, nor is driver Kaz Grala. However, with a 14th-place finish in Loudon and some more media attention from Jeff Gluck, this driver-team combo is remaining in the headlines. Alongside Josh Williams in the #90, team owner Mario Gosselin has brought back his second team, the #92, to make it an even 40 cars on the entry list. Rejoining the effort is Dexter Bean, who has driven for DGM in the past. There are 40 drivers entered to fill the 40-car field on Sunday, the first time this has happened since Daytona, three races ago. While a report on Tuesday showed that Jesse Little has no future Cup races planned after his debut at Kentucky, the #7 team has rejoined the circuit for the first time since that night. Reed Sorenson is the listed driver, following up on his Truck Series run for Premium on Saturday. Ross Chastain remains in the #15 despite the preliminary list showing Justin Marks in that car for the second-straight race. As the bids continue to come in for BK Racing and its charter, J.J. Yeley returns to the #23, bringing with him his sponsorship from Steakhouse Elite. Blake Jones finished 33rd in his debut last week in Loudon. Not only does this team and Timmy Hill return to action, but with several new sponsors on a bright orange Toyota. Brandished on the hood is the logo for the Lehigh Valley Phantoms hockey team, plus associate backing on the sides from Wegmans, Service Electric, Ppl Center, Yocco’s Hot Dogs, Spectra, and Rich Mar Florists. On Wednesday, the Gaunt Brothers indicated they were making the trip north to Pocono, upping what would have been the 17th short field of 2018 to just the fourth 40-car showing all year. The driver is to be announced. 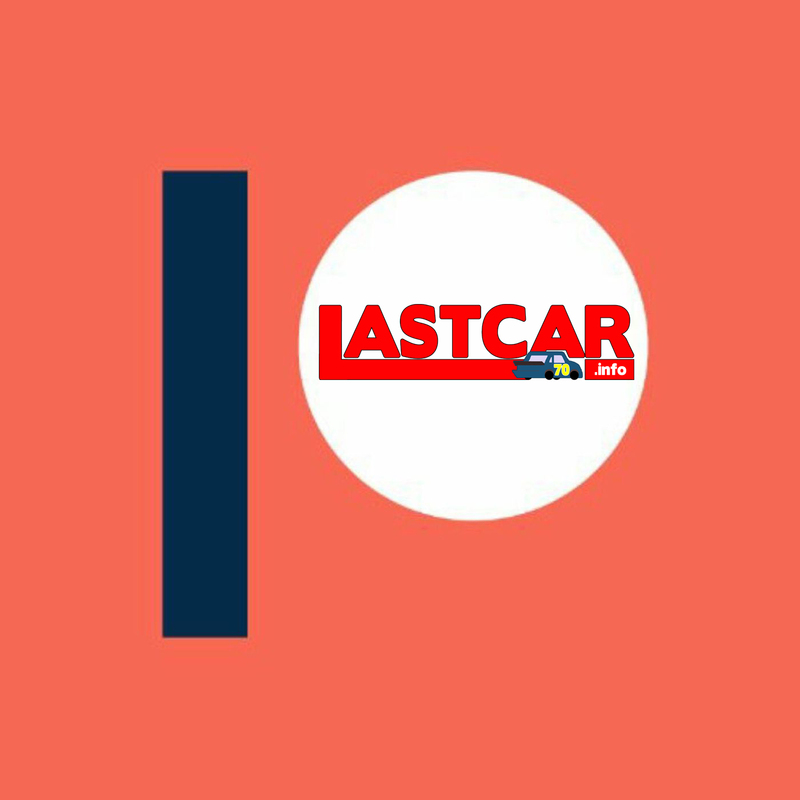 A new backer has arrived for Landon Cassill in the form of Pennsylvania's Lock Haven University. The scheme was designed by Ryan Daley, who on Facebook said an old college professor of his had once dissuaded him from doing paint schemes. 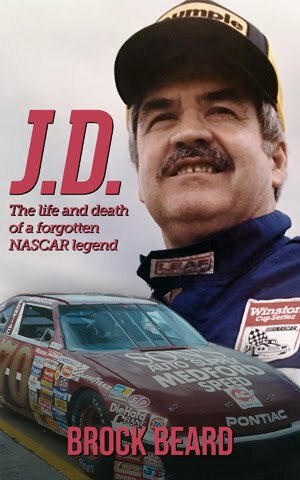 Only once in NASCAR history has a driver fallen out of the race because his car “stalled.” While today’s cars are often able to be restarted like a glitch computer, this was not the case back on April 14, 1957, during a race at Pennsylvania’s other famous track, the Langhorne Speedway. That day, Oregon native Bill Amick qualified a strong 3rd in the #97, a Ford fielded by DePaolo Engineering. But the car never turned a lap, and was listed as “stalled” at the start. Fireball Roberts, Amick’s teammate, took the win, leading 99 of 150 laps. Amick would run just one Cup race a year after the 1957 season, his final start coming at Riverside’s season opener in 1965, where he ran 18th.